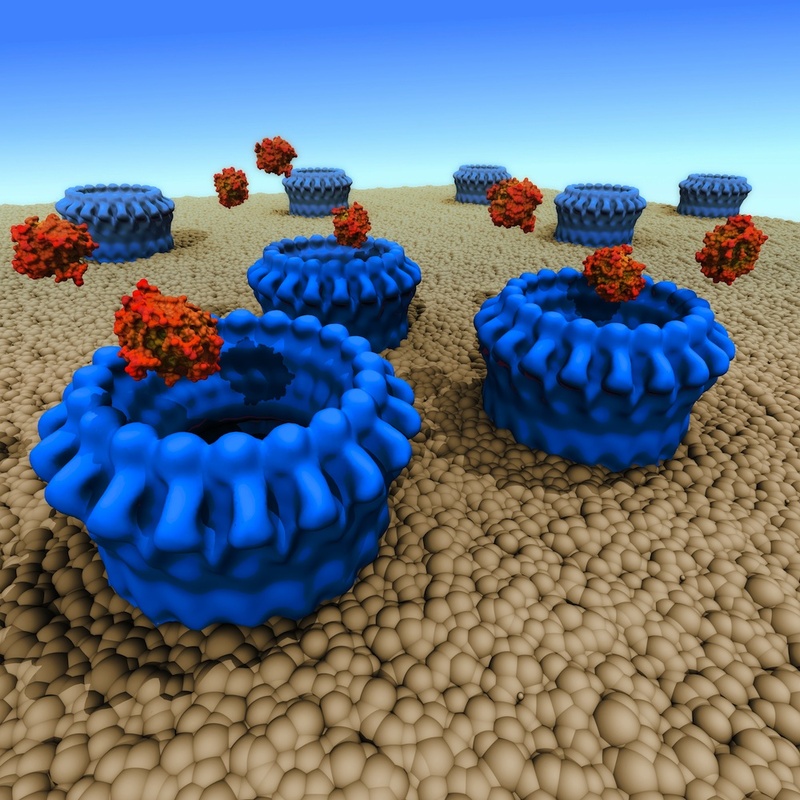 An international research collaboration has revealed how a protein called perforin punches holes in cancer cells and cells hijacked by viruses, enabling toxic enzymes to enter and destroy the rogue cells. Dubbed the ‘assassin protein’, perforin is a key part of the body’s defence mechanisms. If perforin isn’t working properly, the body cannot fight infected cells. Defective perforin activity can also cause problems, such as when the wrong cells are marked for elimination, for example in autoimmune disease conditions such as early onset diabetes, or in tissue rejection following bone marrow transplantation. The perforin findings were published online in the prestigious journal Nature on 31 October 2010. The 10-year perforin study drew on structural information from the Australian Synchrotron’s microcrystallography (MX2) beamline and high-powered electron microscopy images from Birkbeck College. Perforin is a thin, key-shaped molecule that works by joining forces with other perforin molecules to penetrate cell membranes and form pores in the cell surface that allow granzyme proteases (enzymes that break down other proteins) into the target cells. The new research confirmed that the important parts of the perforin molecule are quite similar to those in toxins deployed by bacteria such as anthrax, listeria and streptococcus, demonstrating their common ancestry. 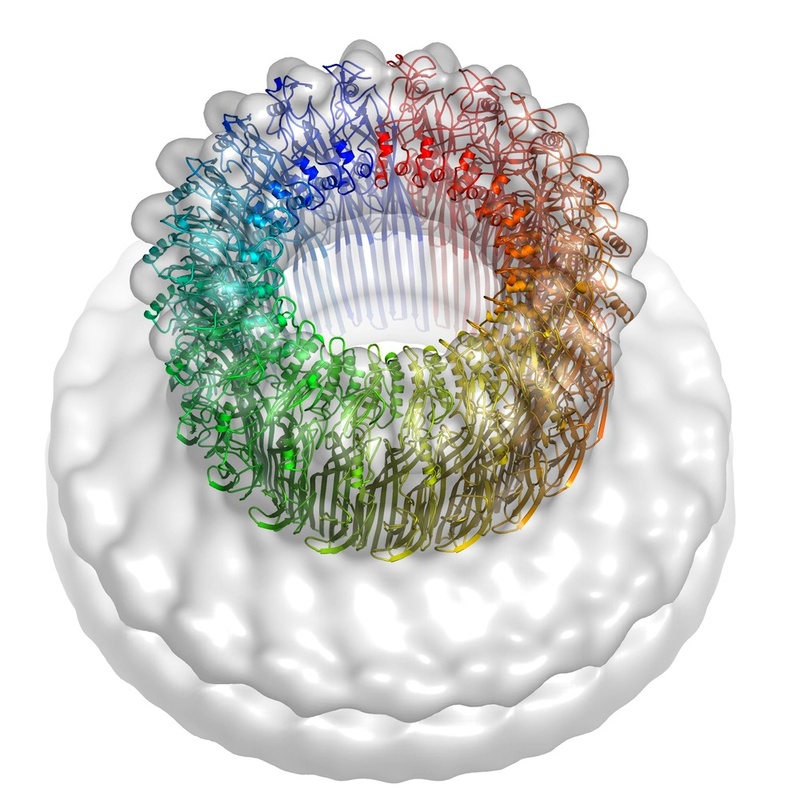 However, an unexpected finding was that the perforin docks with the rogue cell surface in the opposite orientation to its bacterial counterparts, suggesting that the two groups of proteins must have undergone some extraordinary structural adaptations. These data reveal remarkable flexibility in the common mechanisms of action noted in the two groups and provide new insights into how related immune defence molecules such as complement proteins assemble into pores. “Our crystals diffracted poorly, so the highly-focused, intense beam on the MX2 beamline was absolutely essential for obtaining high-resolution diffraction data,” James Whisstock said. “We needed a lot of synchrotron time to solve the perforin structure. Without the Australian Synchrotron we’d probably still be flying back and forth to overseas facilities – and we might well have been scooped by our rivals in this highly-competitive field.” Click the line below to read the paper, entitled ‘The structural basis for membrane binding and pore formation by lymphocyte perforin’, as an abstract or in full.